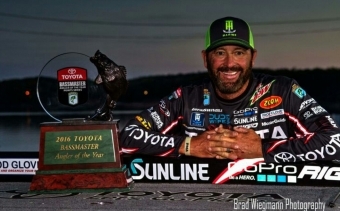 With a tumultuous ending to his win, Gerald Swindle focused on not becoming the Angler of the Year in the 2016 season but by focusing on doing his best at each tournament. His belief was that if he focused on points only he would only be limiting his abilities. So armed with inspirational messages each day written on his sandwich bags, Gerald paid no attention to positioning but aimed for his personal best each day. 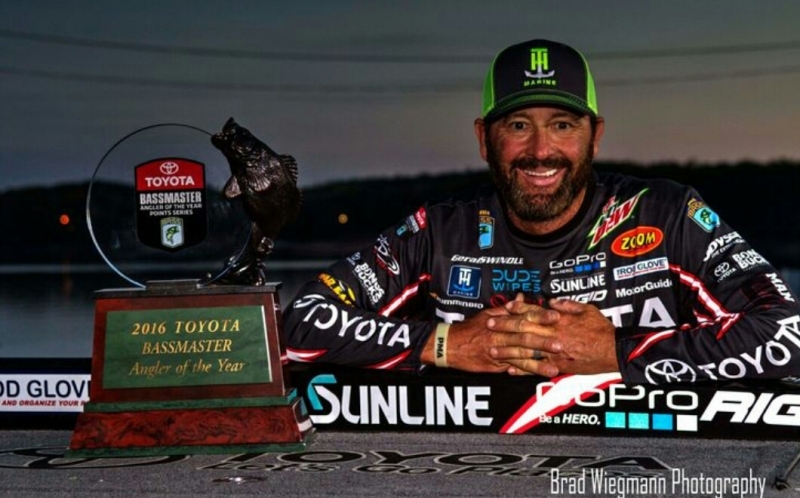 Gerald Swindle, known as the G-Man finished the 2016 Season as Angler of the Year and The Rod Glove is proud to have him on every package of Rod Glove products. With the support of his fishing partner, his wife Leanne Swindle, he decided to put more of a focus on just fishing. Gerald and Leanne made many changes to their lifestyle in 2016, including downsizing from their 5000 sq ft home to a 840 ft lake house. Simplifying their lifestyle gave Gerald the opportunity to focus more on fishing. He made a conscience decision to be more relaxed on the water, and to avoid not being engaged in the moment. He says that he had the worst practices of his life in all 10 tournaments in the 2016 season, and "he didn't need a good spot, he just needed to fish his spot really really good ". His technique was to fish a small puzzle of the lake and not the entire area to find the fish. He did not race up and down the water chasing after spots but instead decided to relax his approach and ground into an area, and at times with only 4 rods on his deck. His three baits that he used during the 2016 season were punching mats, top water as he is a great junk fisherman and buzz baits and he chose the ones he had the most confidence in. Take a look at this video where Gerald explains why he uses The Rod Glove products. As a co-angler, I use The Rod Gloves to protect my rods while travelling to the tournaments on the Professional Musky Tournament Trail.